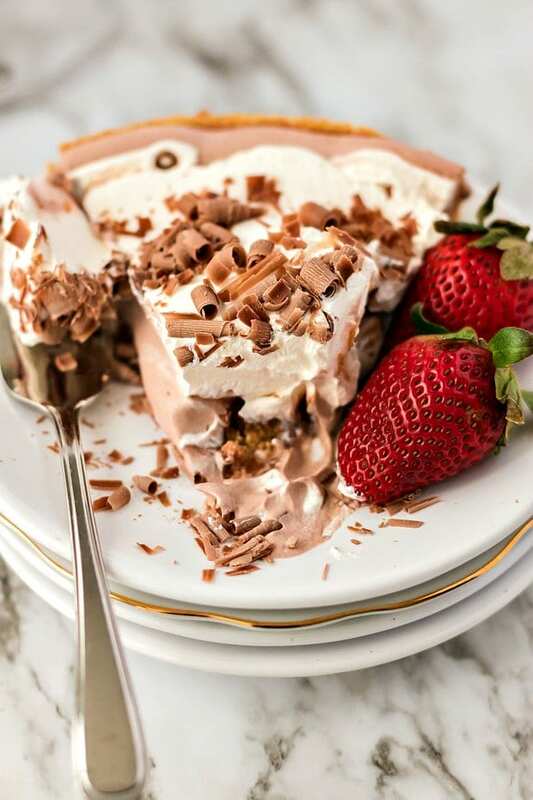 When it comes to no-bake desserts, chocolate pudding pie is the best! 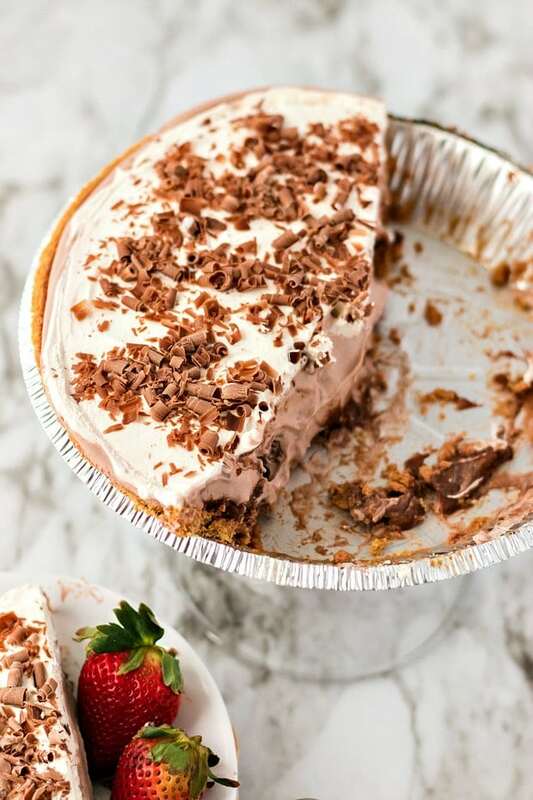 This famous pudding pie is made from scratch with just 4 ingredients: pudding and milk, whipped cream, and a graham cracker crust, with a Hershey’s chocolate garnish. 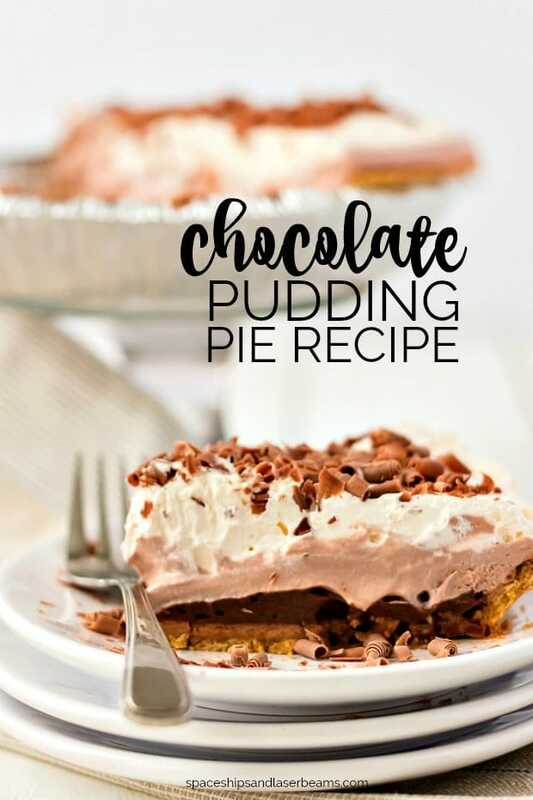 Combined, these four simple ingredients make an amazing creamy, chocolate pie that is the perfect ending to any meal. For two more amazing no-bake pies, make sure you check out our recipes for jello pie and peanut butter pie. And for chocolate lovers, check out our chocolate pudding cake. My husband loves French silk pie and any sort of chocolate pies for that matter. The first time I made this chocolate pudding pie, he was in heaven. I think he could have finished off that entire pie himself! And secretly I was loving his raving reviews even more than normal. By the taste, you would have thought I’d spent hours on it. When in reality, this pie is so easy to make. Starting out with the chocolate pudding is what creates the amazing richness and flavor for the pie. 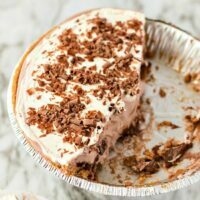 The graham cracker crust adds a sweet crunch and creates the perfect texture to compliment the creaminess of the filling. Another amazing option is to swap out the graham cracker crust for an Oreo crust! I love Oreo’s and this is a perfect substitute for anyone who is a true chocolate addict! Next, comes the whipped cream. It makes for the perfect balance between rich chocolate and a light creaminess for your pie filling. And lastly, a garnish of Hershey’s chocolate shavings on top is the final accent. * Choose your favorite brand of chocolate pudding mix. Most mixes call for milk, I like to use 2% milk because it makes the filling of the pie extra rich and creamy. Full recipe at the bottom of the post. First things first, you will need to make the chocolate pudding. Prepare your instant chocolate pudding by following the directions on the back of the box. Different brands require different amounts of milk. I like to use 2% but you can use the milk of your choice. Next, pour a little less than half of your chocolate pudding into the bottom of your graham cracker pie crust. In the bowl, mix the remaining 1/2 of your chocolate pudding with 1/2 of the whipped cream and stir them together well. Then, add this mix as the next layer of the pie. Finally, add the last 1/2 of the remaining un-mixed whipped cream to the top of the pie, and smooth out the top. Lastly, using a potato peeler shave off chocolate pieces from the Hershey’s chocolate bar to add to the top of your pie as a garnish. Refrigerate the chocolate pudding pie for at least 1 hour to let it set and firm up a bit, before serving. When ready, just remove from the fridge, cut into slices and enjoy! It’s important to let this pie chill before serving it. Trying to serve it immediately after making it won’t bode well. It will fall apart because the pudding will not have had time to set. I like to chill my chocolate pudding pie for at least one hour, but it doesn’t hurt to chill it for even longer. It is best when served nice and cold and is easier to enjoy when it has firmed up just a bit. Using a pre-made pie crust makes for very easy storage of the chocolate pudding pie. Simply snap the lid on top and place it in the fridge. It is important that you store the leftover pie in the fridge between servings, or it can melt and it won’t firm up in the same shape again. However, I am willing to bet that there might not be anything to store after serving this pie. So many people ask me for this recipe, which is why I’m glad to be sharing it with you, today. It’s going to be your go-to dessert in no time. 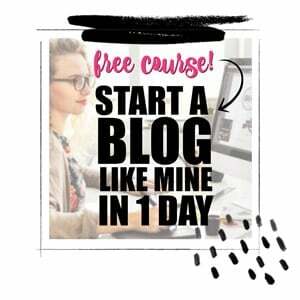 But just get ready for people to be asking YOU for this recipe as well. The easy and delicious homemade no-bake dessert is one of our favorite recipes! Prepare the instant chocolate pudding per package directions. Pour a little less than half of your chocolate pudding into the bottom of your graham cracker pie crust. Mix the remaining pudding with 1/2 of the whipped cream and stir well. Add as the next layer of pie. 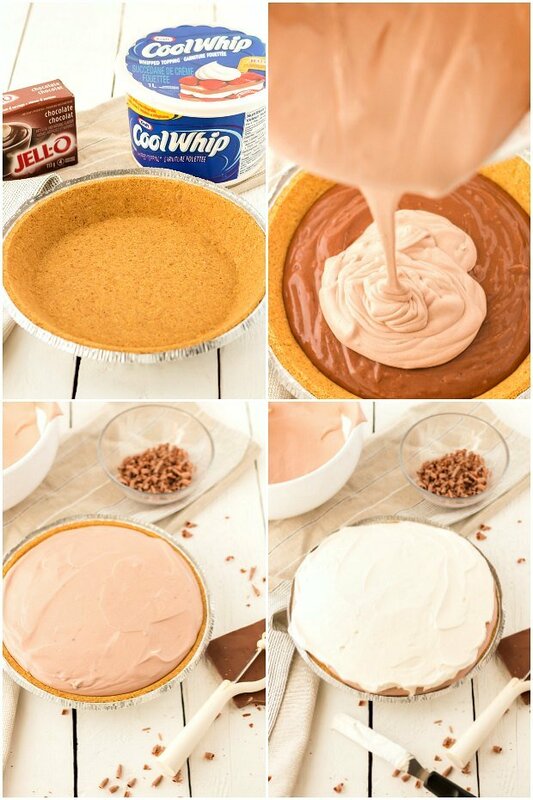 Add 1/2 of the remaining whipped cream to the top of the pie. Using a potato peeler shave off chocolate pieces to add to the top of your pie. Refrigerate for 1 hour (or more) Serve and enjoy! This is swoon-worthy it’s so delicious!